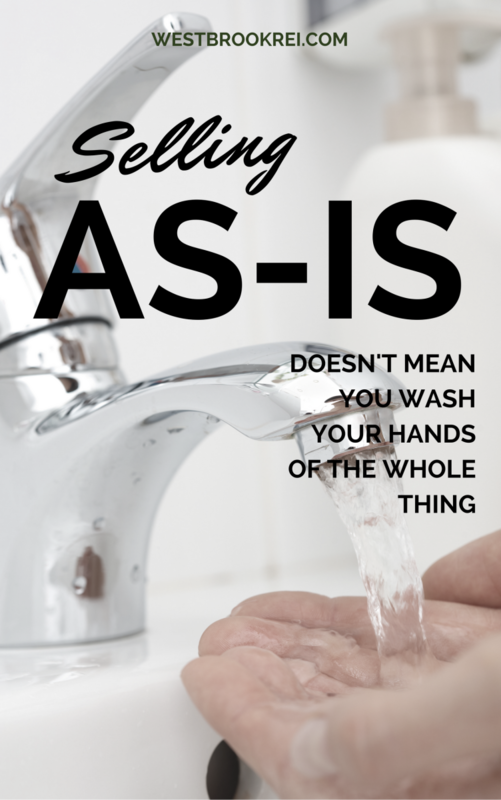 The real estate term “as-is” simply means as it is in its existing circumstances. With this thinking, nearly every home is sold as is because the seller cannot be forced to do anything they don’t want to do when selling a home including making any repairs or updates. When a home is marketed “as-is”, it generally means that the seller will not make any repairs or concessions for a buyer. This doesn’t necessarily mean that they won’t if you ask, but this is how they have gone into the listing. Does it matter if you do a little something versus leaving the house “as-is”? There are pros and cons to this scenario on both sides. Selling a home “as-is” does not relieve you from legal obligations to answer questions honestly concerning any existing problems with the property. If the state in which you buy has specific requirements on homes before selling, you need to stick to those legal requirements, however, as long as you are not breaking the law, you can present the home “as-is” in its current state. Most homeowners are not allowed to hide any defects intentionally and a sellers disclosure form is usually still required. For the state of California, residential property sellers are required to disclose, in writing, details about the property they have for sale. This goes for nearly all home sellers because they have a legal obligation to disclose any potential hazards for a buyer. Only properties that are transferred by court order or from one co-owner to another are exempt from sellers disclosure forms. Now, just because you fill this out doesn’t mean that you have to do any repairs or updates. The buyer can still get a home inspection and ask you to complete some repairs or changes but it is ultimately up to the homeowner to decide whether or not they are going to perform these tasks. You can still state that you will sell a home in “as-is” condition even though you might decide to do some repairs or updates later on throughout the transaction is asked. This is one good thing about selling to a cash out investor; you may need to fill out a sellers disclosure form but you are not required to do anything and I usually won’t ask. Unless there’s something seriously wrong with the property or there are legal implications to issues, I buy all types of homes in Sacramento, Modesto, and Stockton California in “as-is” conditions. If you have a home that you’d like to sell in “as-is” condition or if you’d like to find out how much more you could receive once completing small repairs and updates, give me a call at any time. I’m not a real estate agent and my primary purpose is to buy homes in “as-is” condition.